On Tuesday morning it really looked just about the same as Monday. Nothing had melted and the roads were just as slick and in some spot slicker. 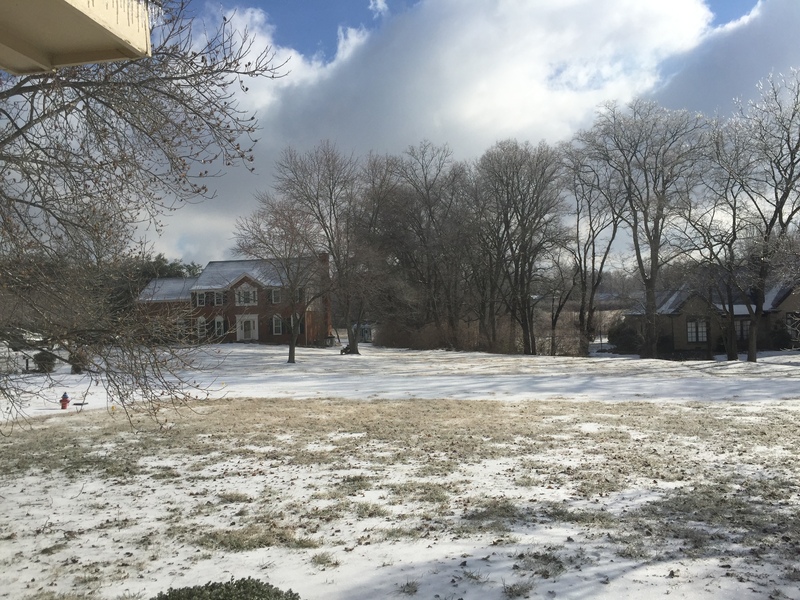 With wrecks all over town and conditions not looking to improve thanks to the cold, my office declared another “Snow Day” and of course both girls’ schools were closed as well. 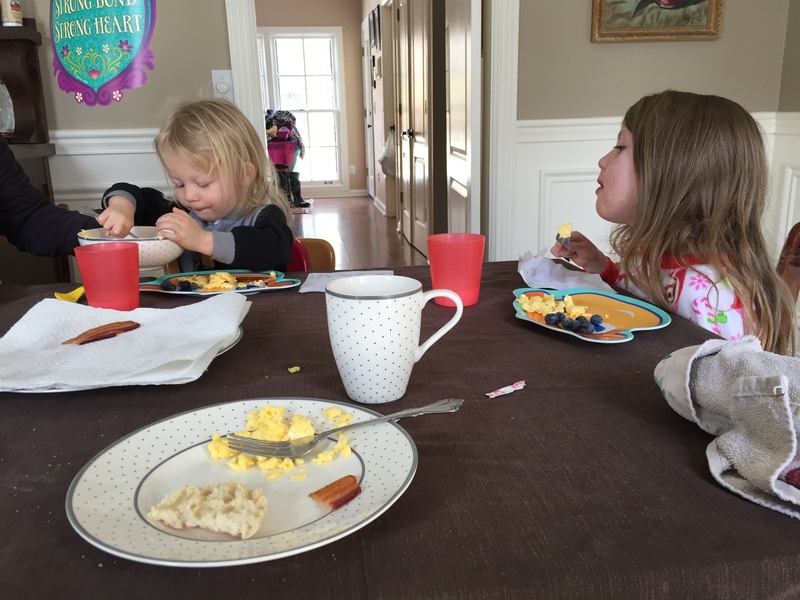 We decided if this kept up we’d be in a lot of trouble if we ran out of bacon and eggs. Abbi wasn’t much on the snow or ice and neither was her best bud. But the two of them did have a lot of fun staying warm and looking cute together. We drug her outside to do a little more sledding. 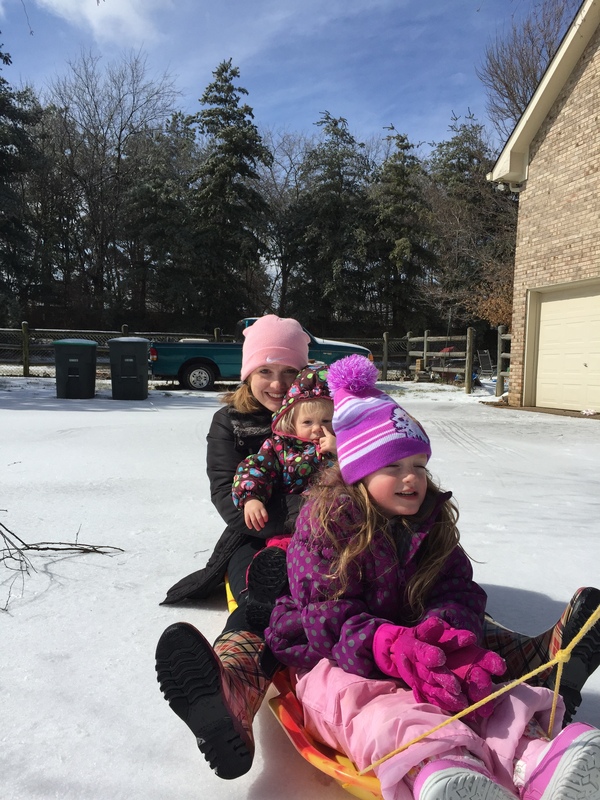 It’s not often we can sled around here, so you have to make the most of it. And Lilli most definitely did make the most out of it. 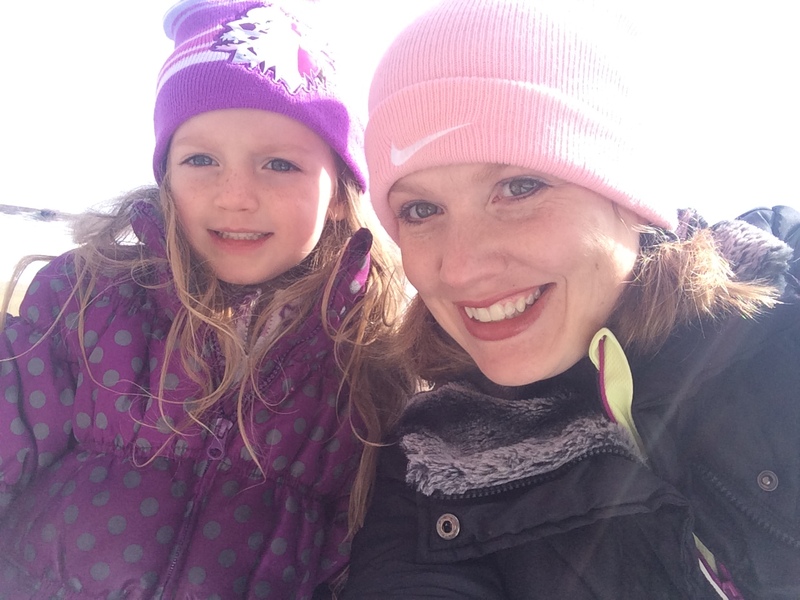 I helped her in and out of her snowsuit about a dozen times a day and she covered every inch of our acre. And most of the street and the neighbors’ yards. 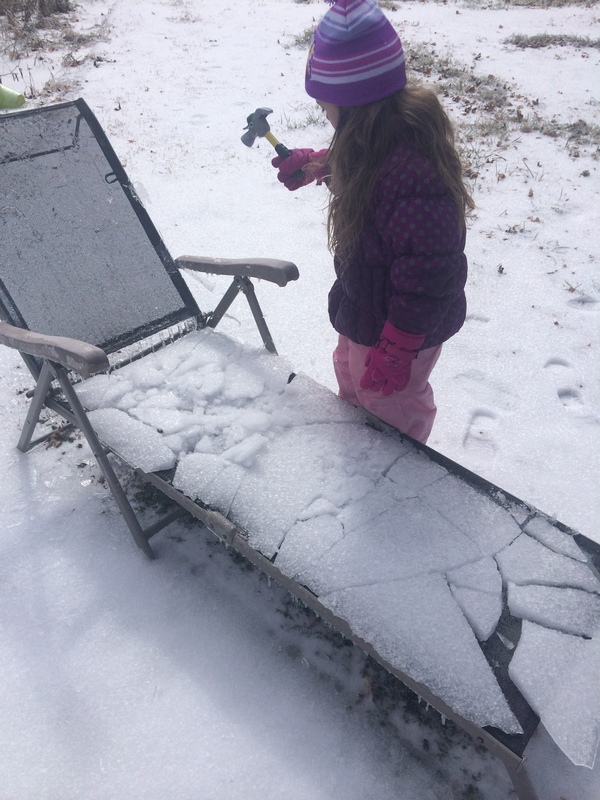 She spent half the morning outside with her play hammer cracking all the ice off of everything. She had a lot of fun “skating” up and down the driveway. All the slick sidewalks made me so nervous with the two of them, especially Abbi. 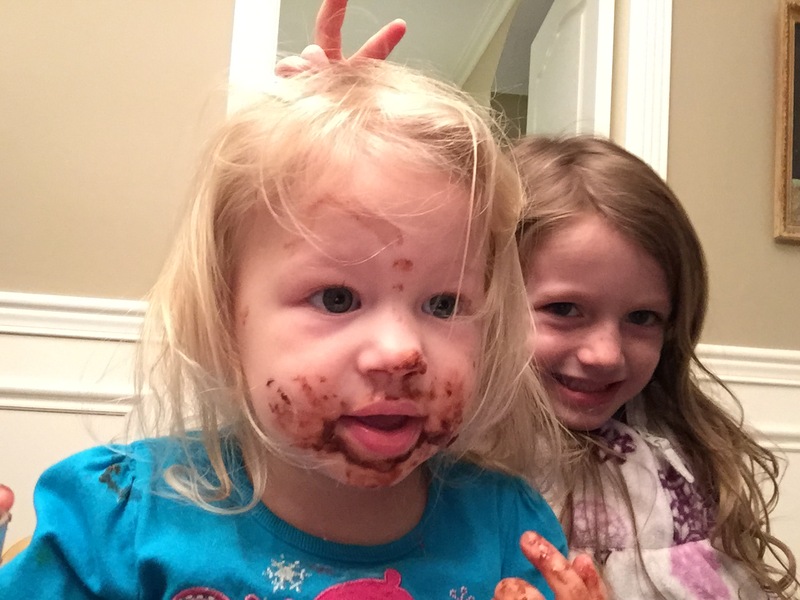 Cabin fever will cause all sorts of inappropriate things to happen with Nutella. 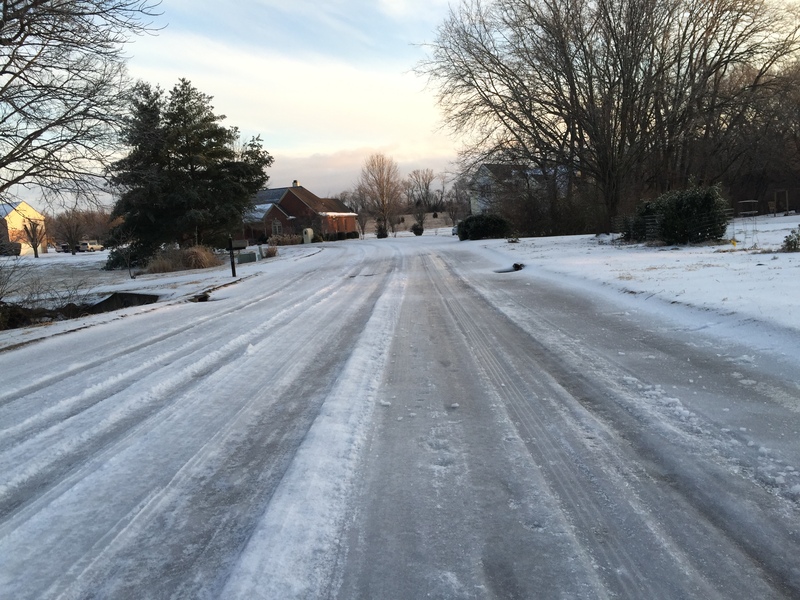 At the end of the day on Tuesday our street was still a solid sheet of ice. Wednesday morning added snow on top of the ice and sleet and snow we already had. 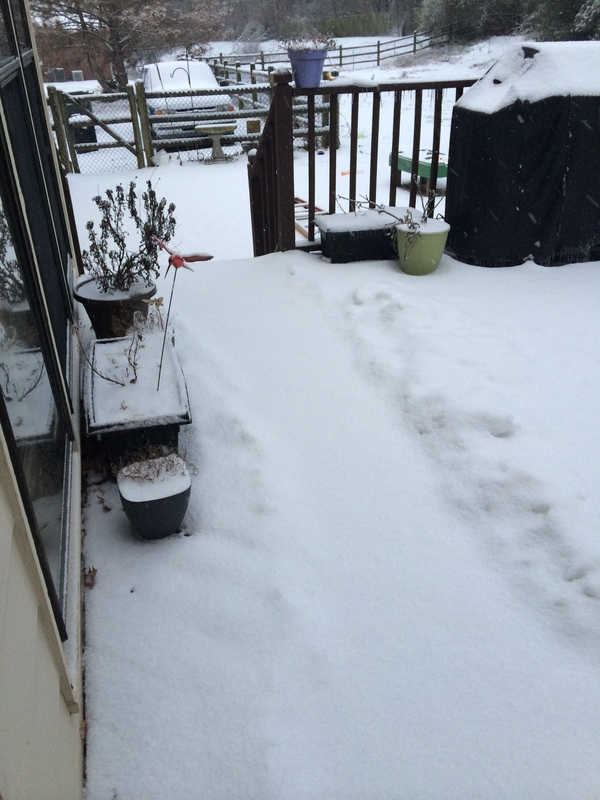 The path Brent had shoveled for me and Olli was totally covered up. 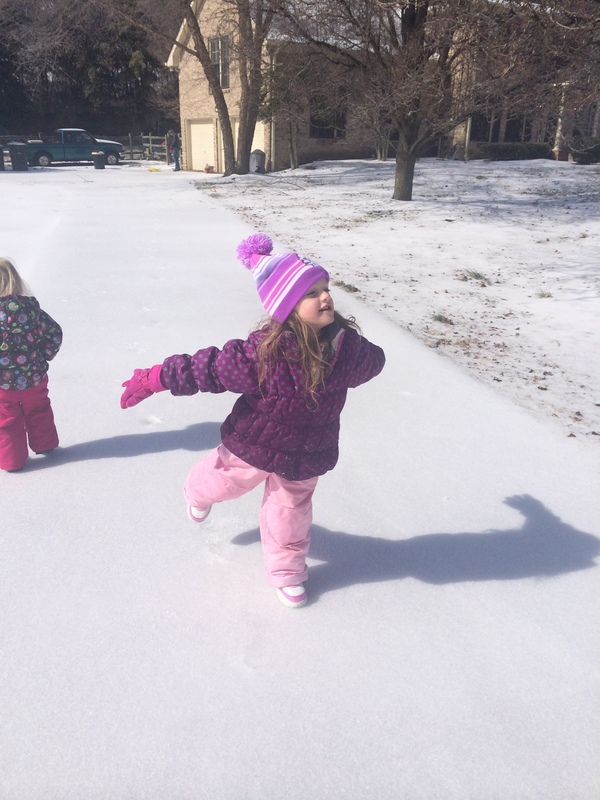 Even though our street was still covered, main roads were passable and Abbi’s daycare was open modified hours. Brent went back to work and took Abbi to school, while I worked from home with Lilli since we didn’t have any options available for her. I took a break from working around lunchtime and we played in the snow. By Day 3 I was so over layering people up in boots and hats and snow gear, and beyond tired of taking Olli outside in the cold. 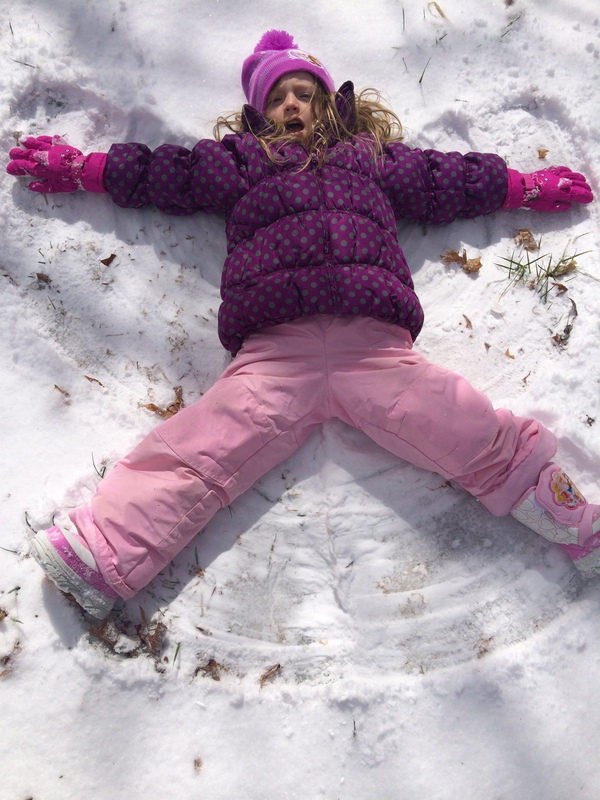 But now that we had actual snow Lilli was really excited to make snow angels and have “snow fun”. The teenagers next door were building a snowman and she wanted to make one, too. 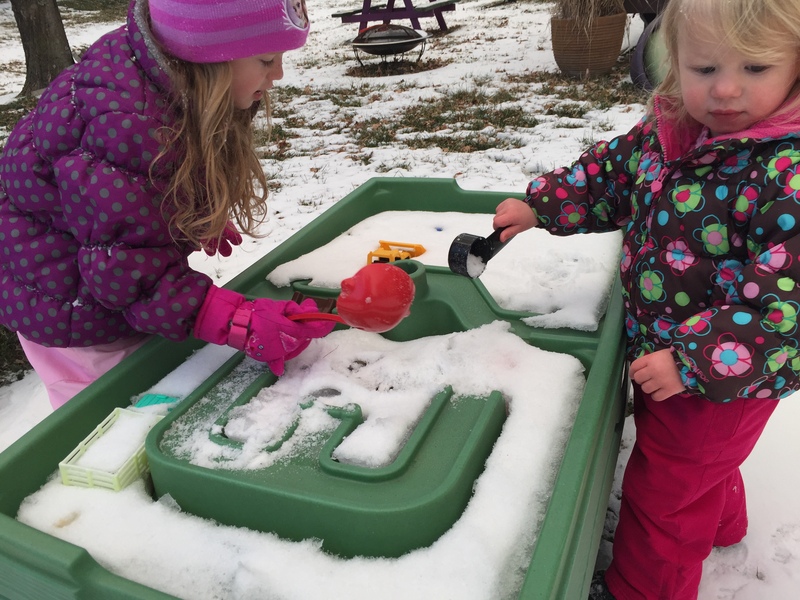 It really wasn’t great packing snow, but we scooped up enough with the shovel to make her happy. 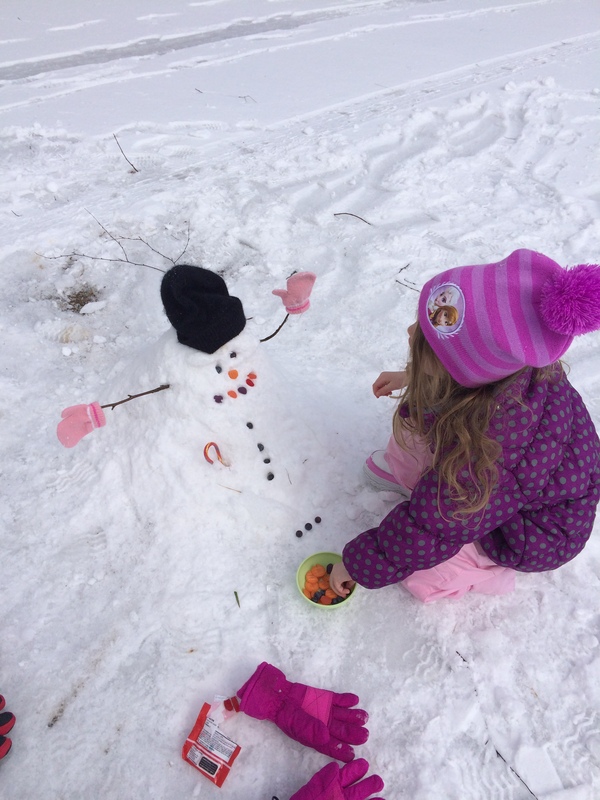 She didn’t recall ever building a snowman before and said she just “knew what to do” from watching Frozen. That’s actually pretty sad! 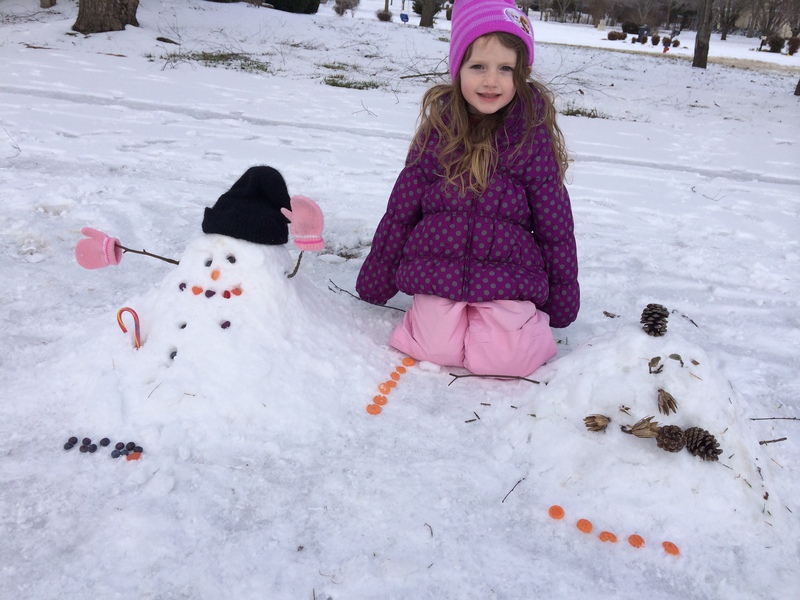 She made a snow “Granny” (since it has a candy cane cane) and a snow guinea pig. 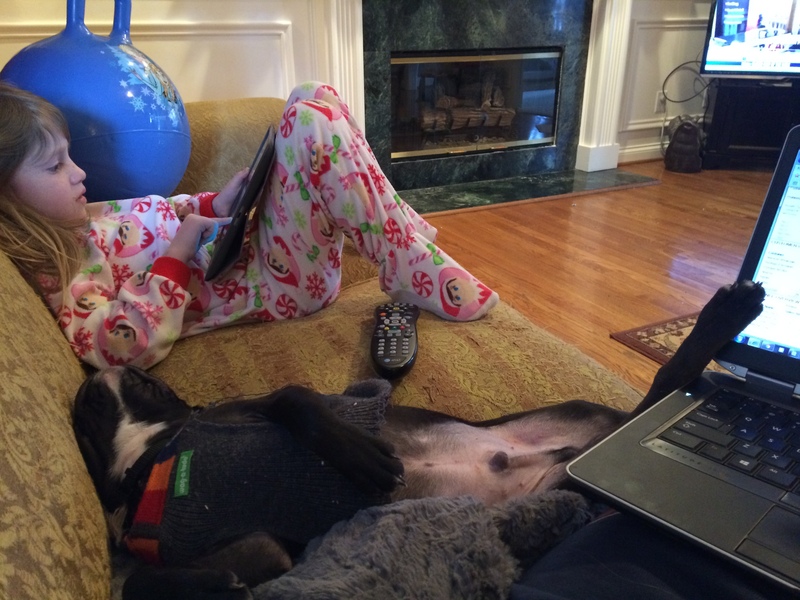 She never changed out of her PJs and played Ipad most of the day. That’s kind of a perfect day for her every once in a while, but by the end of the day she was ready for her sis to come home and to get more attention from me. Oliver never hates a day when I work from home. 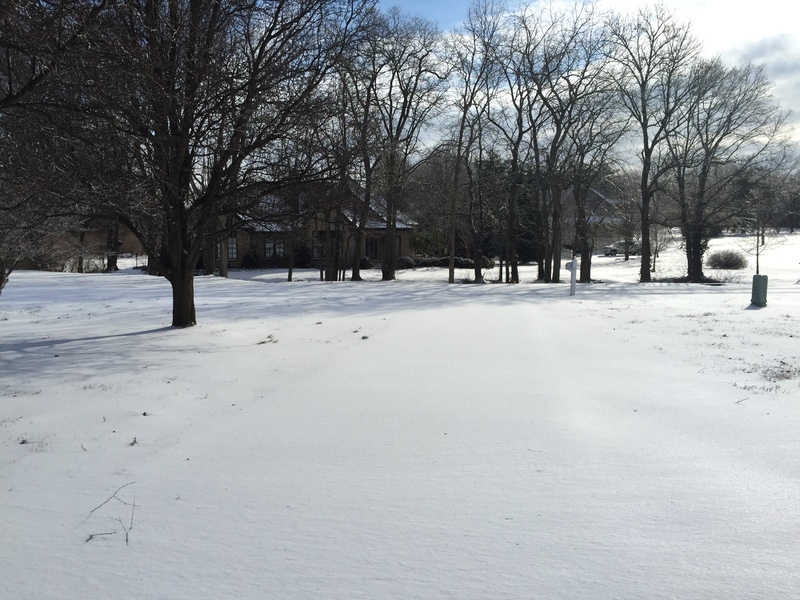 When Abbi and Brent got back home safely we snowsuited back up for the 8 millionth time. Abbi just will not keep her gloves on – look how RED her hands were!! She never lasts all that long as a result. Hopefully next year the idea of gloves won’t be such a horrible thing for her. 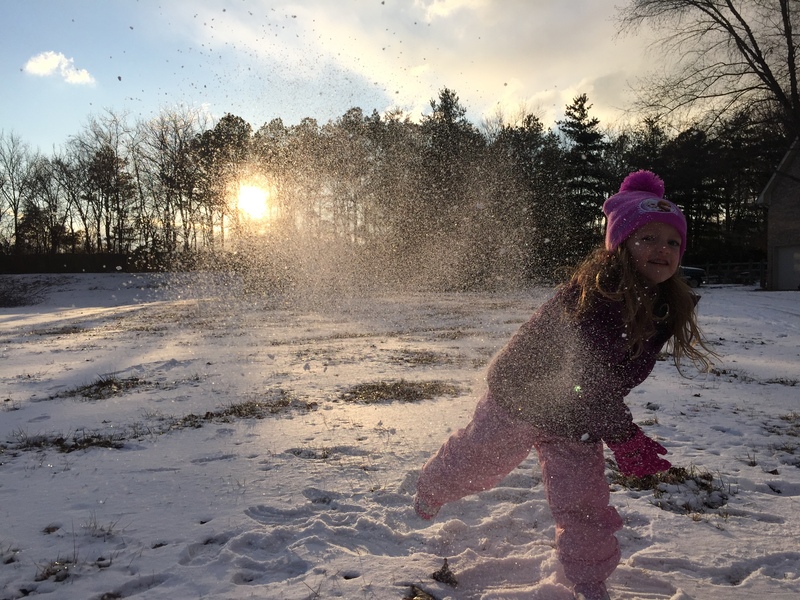 Lilli was the total opposite – this girl was LIVING outside and soaking up every single snowflake and icicle she could. I’m pretty sure she’d do pretty okay living up North one day! 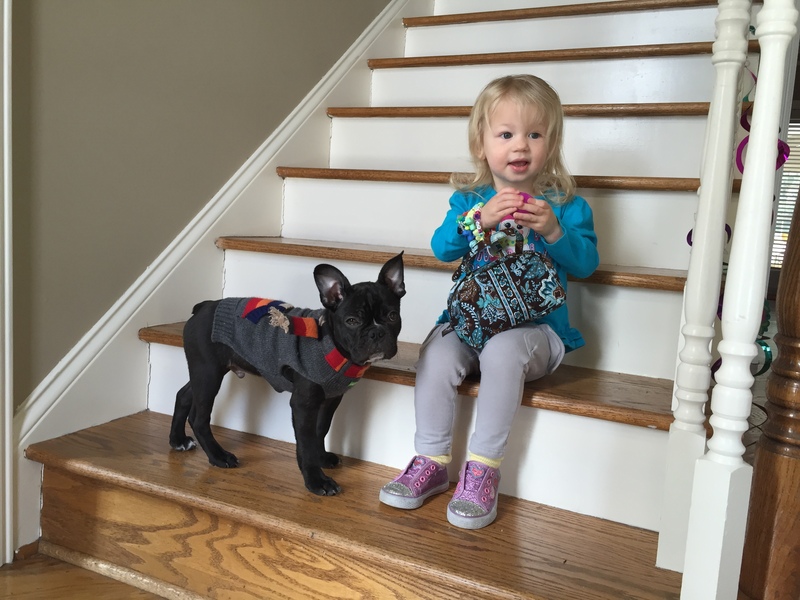 This entry was posted in Uncategorized and tagged Abbi, Brentwood Life, frenchton, ice day, Lilli, Nashville, olli, puppy, snow, Snow Day, Winter, winter 15, winter 2015. Bookmark the permalink.